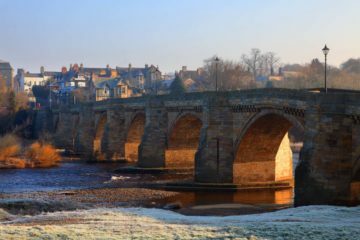 The River Tyne is created by the confluence of the Rivers North and South Tyne, both substantial rivers themselves, to the west of Hexham. 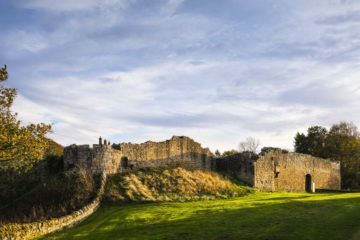 The area I am defining as Tynedale is directly north and south of the River Tyne between Hexham and the boundary with Tyne and Wear and as far north as Hadrian’s Wall and south to the County Durham boundary. 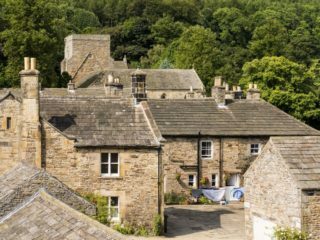 It is principally an area of farmland and forestation with the historic town of Hexham as the administrative centre. 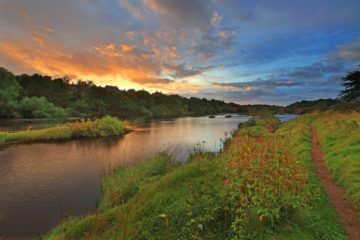 The River Tyne is generally a wide and shallow river and noted as the best salmon river in England and Wales. 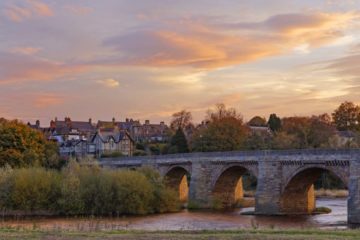 It is a beautiful rural river with Hexham, Corbridge and Prudhoe / Ovingham the main towns on its banks. All three communities feature prominently in local history. 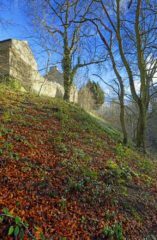 The Norman Prudhoe Castle is perched strategically above a one time major ford across the River Tyne. 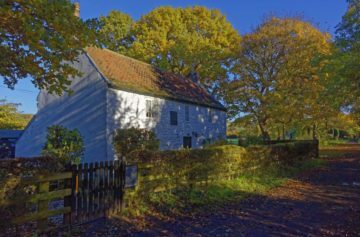 It has an Elizabethan Manor House built within its walls for protection – the English / Scottish borderlands were a very violent place for centuries with the Border Rievers. 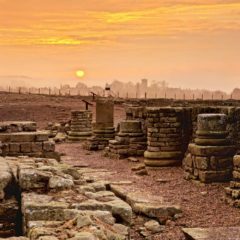 The attractive community of Corbridge on the north bank of the River Tyne was once the Roman Station of Coria with interesting Roman remains and a museum. 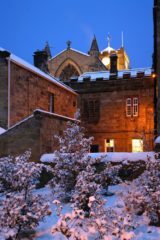 Hexham, a lovely small town with abundant parks, can boast the first purpose built gaol in England and an Abbey with a Saxon Crypt dating back to AD674. 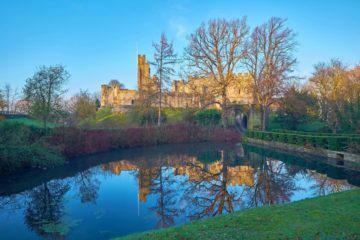 To the south of Hexham rolling farmland and forestation eventually rises into heather covered moors and the small, historic village of Blanchland, the only listed village in England. It is well worth a visit. 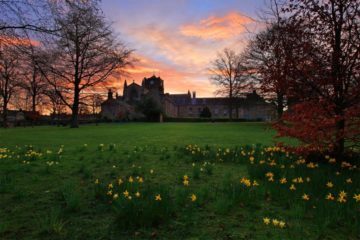 Dawn on an early spring day in the Abbey Grounds in Hexham in Northumberland. 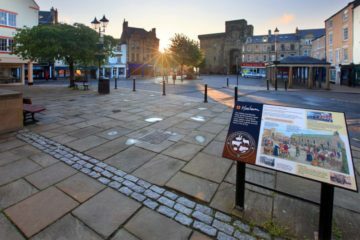 Across the Park is Hexham Abbey with a backdrop of a colourful sunrise. Hexham Abbey in Hexham in Northumberland on a beautiful early Spring morning. The crypt is the oldest part of the Abbey dating back to AD 674. 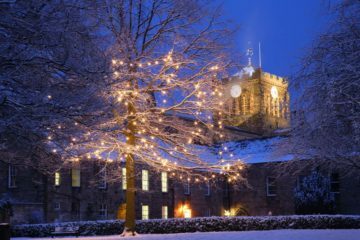 In the middle of Hexham in Tynedale, Northumberland, are the Abbey Grounds. 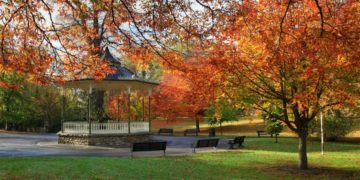 It is styled on a Victorian Park with many specimen trees and a bandstand. The Abbey Grounds in Hexham in Tynedale, Northumberland, is based on the original Victorian park. 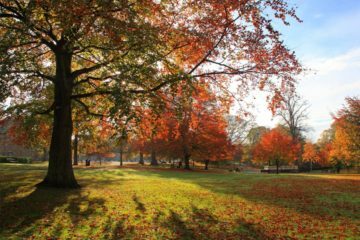 With the right autumn conditions it is a spectacle of colour. 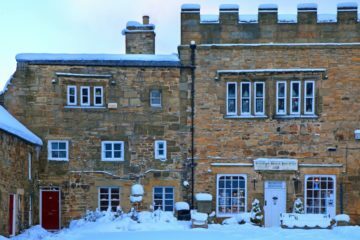 A very seasonal Queen's Hall Arts Centre in Hexham, Northumberland, after a day of snow. 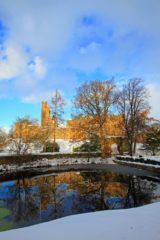 The picture is taken from the Abbey Grounds. 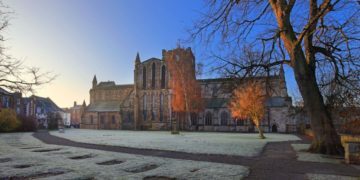 The north side of Hexham Abbey in Hexham in Northumberland on a beautiful early Spring morning. The crypt is the oldest part of the Abbey dating back to AD 674. 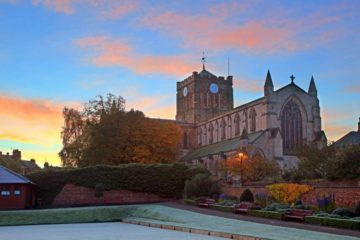 A colourful dawn sky over Hexham Abbey on a frosty autumn morning. Much of the west end of Hexham Abbey was a ruin in the early twentieth century. 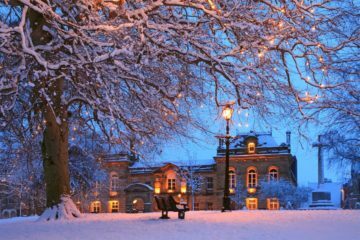 Hexham in Tynedale, Northumberland, is blessed with a beautiful park in the centre of the town. 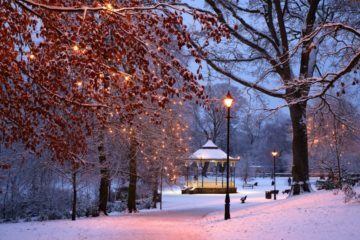 The Victorian street lamps, bandstand and lights give this picture a timeless quality. 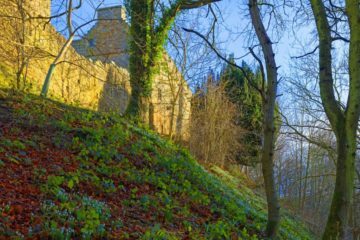 In the middle of Hexham in Tynedale, Northumberland, is a large park including a long steep slope. 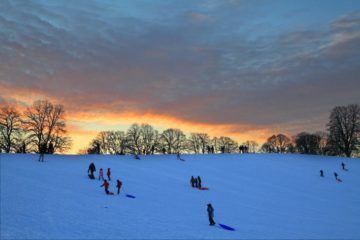 This picture shows the end of a long, hard day tobogganing. 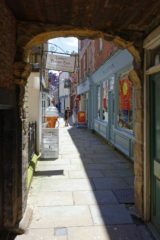 Leading south from Hexham Market Place through a small arch is the narrow Street of St Mary's Chare. 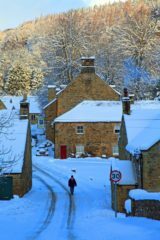 Chare is an old dialect word fro a narrow street or alley. 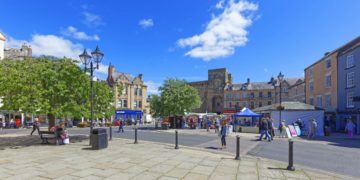 Market day in Hexham on a glorious summer day. Tuesday and Saturday are market days with the Farmers' Market on the 2nd and 4th Saturday of the month. 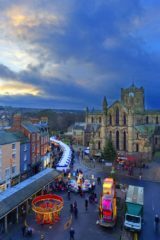 Market Day in Hexham is also a social occasion. The Market Place is an attractive and eclectic array of historic buildings, the Abbey and the Shambles. 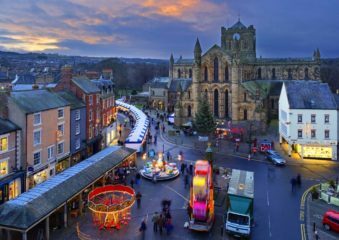 The Hexham Christmas Street Market in Hexham's market place dominated by the Abbey. 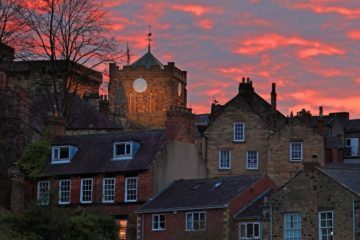 A colourful spring sunset over the historic town of Hexham in Tynedale, Northumberland, on a fine spring evening. 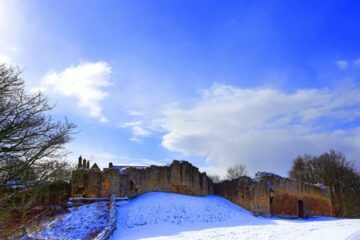 To the left is the Old Gaol, believed to be the first purpose built Gaol in England. Letah Woods just south of Hexham in the 'Shire is managed by the Woodland Trust. 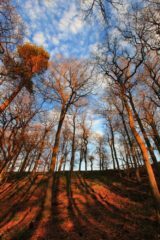 Trees introduced within the last four hundred years have been / are being removed to return the woodland to its medieval state. Blanchland is a small village on the Northumberland/Co Durham border. 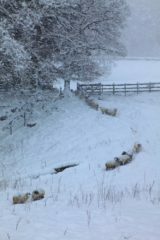 It is the only "listed" village in England. 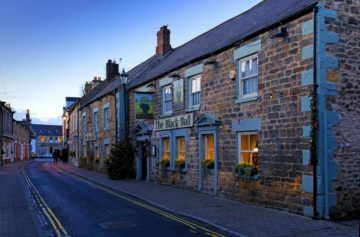 Blanchland, near Hexham in Hexhamshire, Northumberland, is the only listed village in England. It is not just a visitor attraction but a normal living village as well. 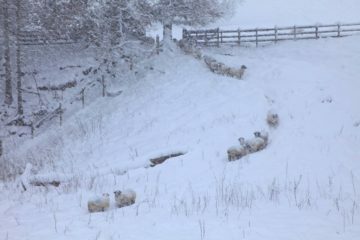 Near Blanchland and just in County Durham, sheep make their way through deep powder snow in a heavy snow fall quite oblivious of the conditions. 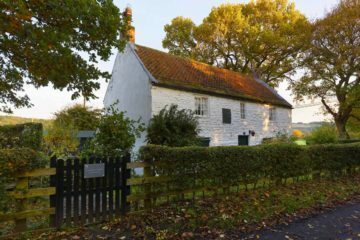 On the banks of the River Tyne in Northumberland is Stephenson's Cottage. It was the home of the family that turned the new and unreliable steam locomotion technology into the beginning of the world's railways. In Corbridge in Tynedale, Northumberland, is the Roman Station of Corstopitum or Corea. It is certainly worth a visit its the superb remains and museum. 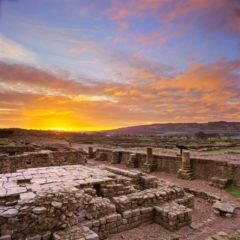 Another autumn sunrise over the Roman Station of Corstopitum or Corea in Corbridge in Tynedale, Northumberland. It is certainly worth a visit for its superb remains and museum. 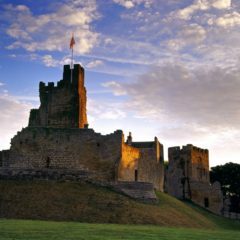 Prudhoe Castle is an imposing and daunting Norman castle built to control a major ford across the River Tyne. Later, in the violent Border Riever era, an Elizabethan Manor House was built within the safety of its walls. Well worth a visit. 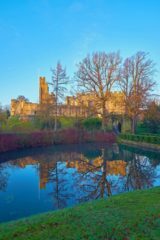 Prudhoe Castle in Tynedale, Northumberland, reflected in the pond late on a cold winter afternoon. 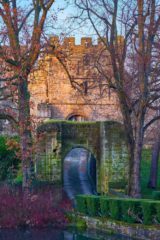 The Gatehouse to Prudhoe Castle high above the River Tyne in Tynedale, Northumberland, in the warm light of the setting sun on a cold winter afternoon. The magnificent River Tyne as it passes Corbridge in Northumberland. 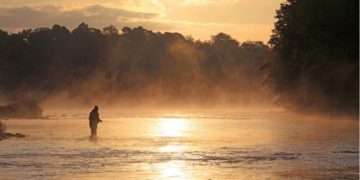 The River Tyne is the best Salmon and Sea Trout river in England. 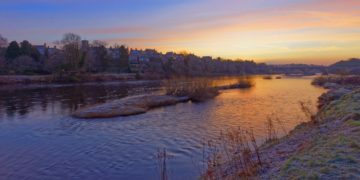 The River Tyne at Corbridge in Tynedale, Northumberland, on a cool autumn morning. 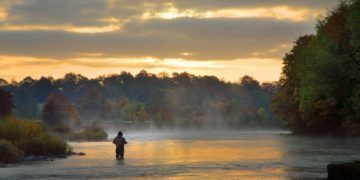 The River Tyne is an excellent Salmon and Sea Trout river. 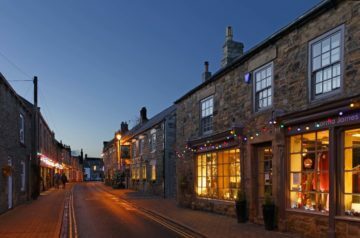 The Main Street in Corbridge in Tynedale, Northumberland, at Christmas. 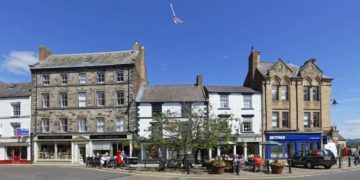 Corbridge is a small town wit a good number of small and interesting shops, pubs and restaurants. A summer morning on the Banks of The River Tyne at Corbridge in Tynedale, Northumberland. The river was benign on this day but it has a huge catchment area and can, on rare occasions, become a deep raging torrent! 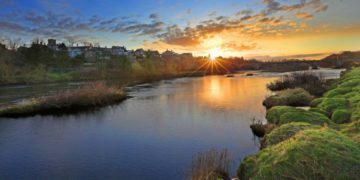 The late winter sun rises over the River Tyne at Corbridge in Tynedale in Northumberland. Many of the houses in Corbridge have a splendid view of the river and the hills beyond. 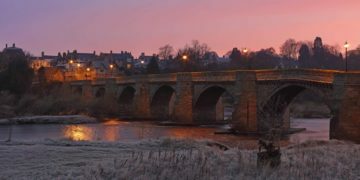 The historic bridge over the River Tyne at Corbridge in Northumberland before sunrise on a frosty winter morning. The pre dawn sky was a pink glow in advance of the sun's appearance. A beautiful, clear, frosty, sunny winter morning by the River Tyne in Corbridge, Northumberland. The low winter sun is reflected off the water illuminating the arches of the bridge. 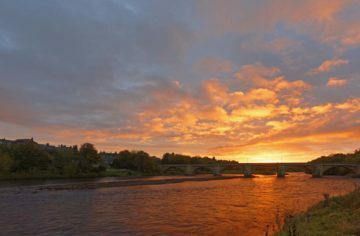 An autumn morning by the River Tyne in Corbridge, Northumberland, that did not seem to be fulfilling its potential rapidly developed into a spectacle of oranges with cloud breaks to the east illuminating the underside of the cloud. 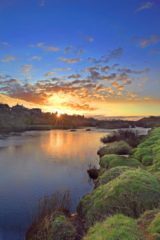 The late winter sun rises over the River Tyne at Corbridge in Tynedale in Northumberland with its warm colours reflection in the river. 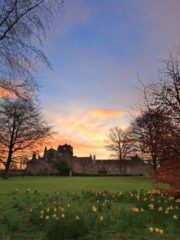 An autumn sunset at Aydon Castle in Tynedale, Northumberland. 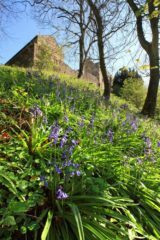 It is a relatively unaltered fortified Manor House from the 12C/13C. 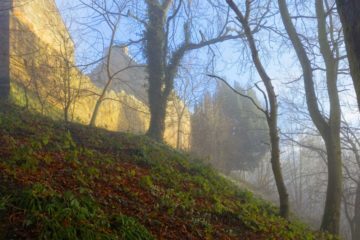 The early morning winter mist at Aydon Castle near Corbridge in Northumberland is dispersing with the rising sun. The Castle overlooks the Cor Burn. 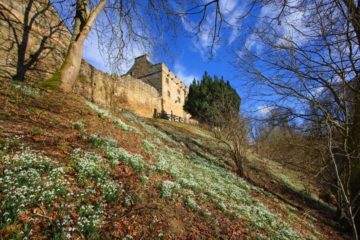 Snowdrops adorn the steep slope from Aydon Castle to the Cor Burn near Corbridge in Tynedale, Northumberland, on a windy winter morning. 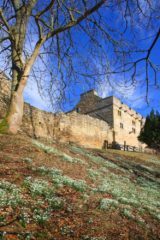 Early on a winter morning at Aydon Castle near Corbridge in Northumberland with the warm colour of the rising sun illuminating the Castle and snowdrops. The Castle overlooks the Cor Burn.